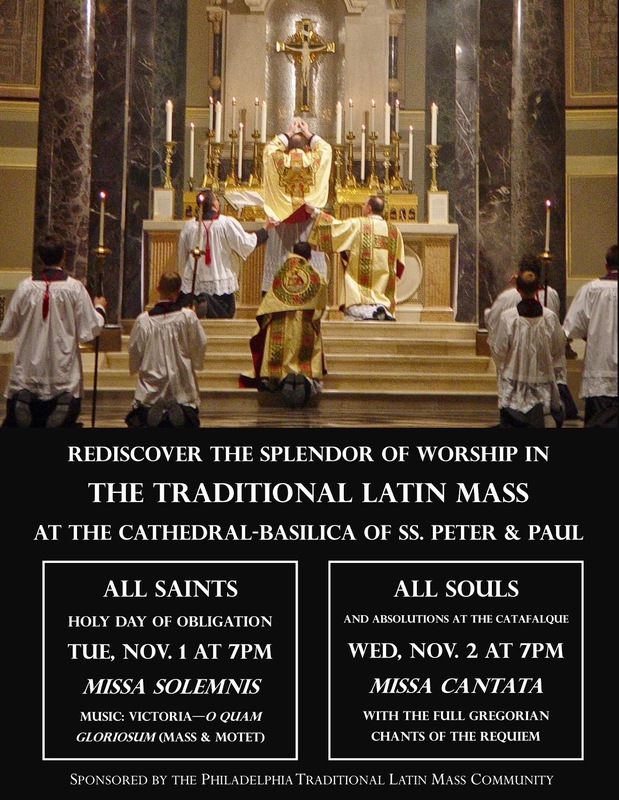 The Philadelphia TLM Community will hold Masses for All Saints’ and All Souls’ Day in the Cathedral Basilica of Ss Peter and Paul, located at 1723 Race Street. The former will feature Victoria’s Mass O quam gloriosum, which was written for the feast; the latter with be in chant, followed by the Absolution at the Catafalque. Both Masses begin at 7 pm.